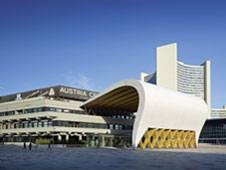 The European Navigation Conference 2013 will take place at the Austria Center Vienna located next to the Vienna International Centre. The congress venue is located in the most modern part of Vienna, only a few minutes away from the city centre by underground or taxi. The drive from the airport takes about 25 minutes. Please click here for directions to the congress centre. The maximum for one day is limited with € 10. Vienna‘s historic city centre ranks among the most beautiful historical areas in Europe. Numerous churches, palaces and parks contribute to the imperial flair of Vienna’s Old Town. On the other hand, Viennese Art Nouveau (Jugendstil) has also brought forth unique places of interest. This mix of old and new, tradition and modernity is what gives Vienna its extra special flair. 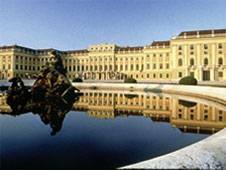 Vienna is a paradise for art lovers. Over 120 museums and collections are open to the public, showcasing works of the highest calibre. 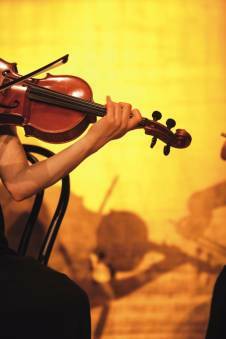 Vienna is also renowned as the world’s capital of music. It was home to “Waltz King” Johann Strauss, “Prince of Song” Franz Schubert, Haydn, Beethoven, Brahms, Schoenberg and Mahler, not to mention Wolfgang Amadeus Mozart. Enjoy an unrivalled selection of music – from opera and operettas to concerts and musicals – in Vienna, music is literally in the air! Vienna’s outskirts are also especially attractive: romantic landscapes and picturesque villages complement the exquisite beauty of the city. Join us in this beautiful city, an experience of its own!